Twenty-five-year-old James Young, a passionate gamer, tragically lost his arm in an accident. 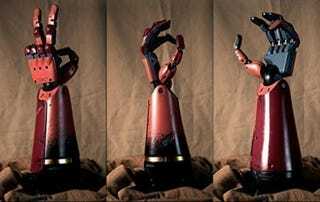 Now one of the biggest video game companies around is working with roboticists and engineers to make James an amazing new limb inspired by one of his favorite series, and one of the greatest game franchises of all time. 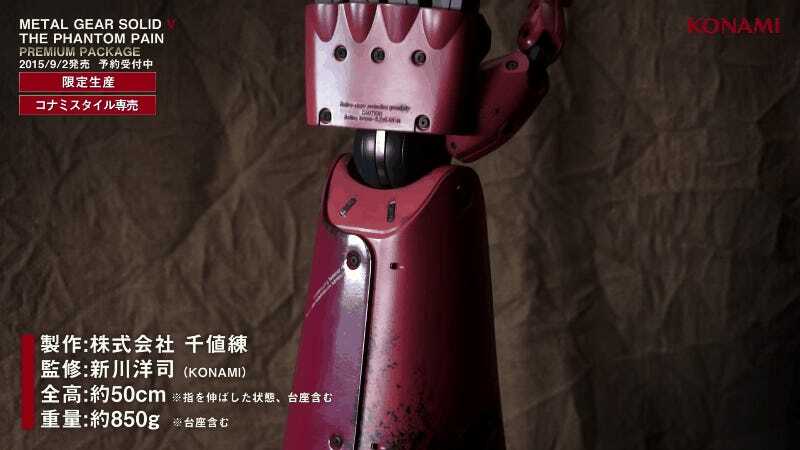 Konami, developer and publisher of the Metal Gear Solid titles, announced plans yesterday to work with a leading prosthesis artist and a technical team to fashion a super -tylized bionic arm for James. It’ll resemble the prosthetic limb featured in the new PlayStation 4 game, Metal Gear Solid V: The Phantom Pain. James, who also lost a leg in the same accident, has refused to let the incident disrupt his passion for games, and has apparently become really good at playing games one-handed. This new limb, which could help him play with two hands again, is a collaboration called The Phantom Limb Project. The company hasn’t given any real technical details, but the process is going to be filmed in a documentary, Konami says, which will be released in January. The team will likely have their work cut out for them, though—making robotic arms with advanced articulators and dexterous fingers that can do the same nuanced tasks as a human is no easy feat. But the Japanese games company says they’re working with robot experts as well as prosthesis artist Sophie De Oliveira Barata, director of the Alternative Limb Project, which works with patients who want new limbs that are more stylized and match their personalities. Her work ranges from totally realistic to totally steampunk. She’s also the designer behind crystal leg used by amputee performer Viktoria Modesta at 2012 Paralympics’ closing ceremony. We’re excited to see what she comes up with in this new project. And if the team can brew up a robotic arm that does a good job playing video games, it’ll be as much a technical accomplishment as it’ll be a heart-warming one.